Reports emerged from Iran about head of the so-called Supreme Revolutionary Committee, Muhammad Ali al-Houthi, being Tehran’s first man in Yemen. Iran has been supporting the Houthi, attempting to remove all obstacles in his way to reach the leadership of the Houthi militia, in light of his charisma that exceeds Abdul-Malik Badreddin al-Houthi himself. 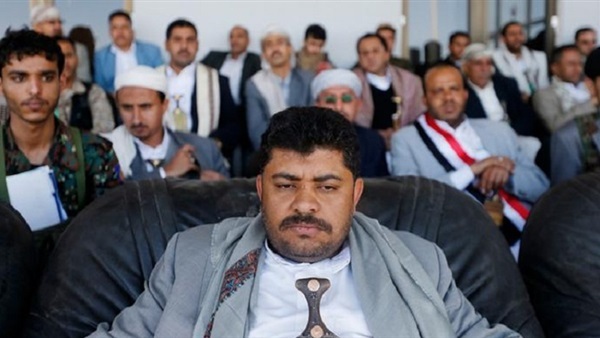 Yemeni reports confirmed that the appointment of Mohammed Ali al-Houthi as a member of the political council, came with orders and full support from Iran, as he was made partner in all decisions by Mehdi Mashat, president of the Council. The reports pointed out that the appointment of al-Houthi hit the stability of the Council, and ignited the differences within; because of the strength of the Iranian man within the Council and Sanaa. Reports also stressed that Iran threatened to assassinate whoever stands in the way of Mohammed Al-Houthi. Abdulkarim Al-Houthi is the number 12 among 40 Houthi wanted on the terrorism list that got announced by Saudi Arabia. Observers consider him the strongest man in the militia and the actual ruler of Sanaa. Yemeni politician Abdulkarim Al-Khoudani told The Reference in an interview that Mohammed Ali Al-Houthi is Iran’s most important arm and first man in Yemen. He also added that Mohammed Al-Houthi is the main link between the Houthi militia and Iran, therefore, securing him poses a grave matter, especially for the armed militia and Iran. He noted that the relationship between Muhammad al-Houthi and the Iranians dates back to 2003 in Iran, as he received training by the elite forces in the Iranian Revolutionary Guards and extreme clerics. Khoudani further continued that Al-Houthi was arrested in 2007 at Sanaa airport with twelve of his colleagues as they were about to begin a training force in Iran, which explains his special relationship with the leadership in Tehran. Al-Khodani expects that Al-Houthi could rise to the Houthi leadership in light of Abdul-Malik Al-Houthi’s weakness and the rising influence of Mohamed Al-Houthi inside the militia and the loyal tribes.